Just a quick one from me this month, writing this whilst away with limited wifi! The toddlers going crazy in a cafe whilst I take two minutes, oh dear! 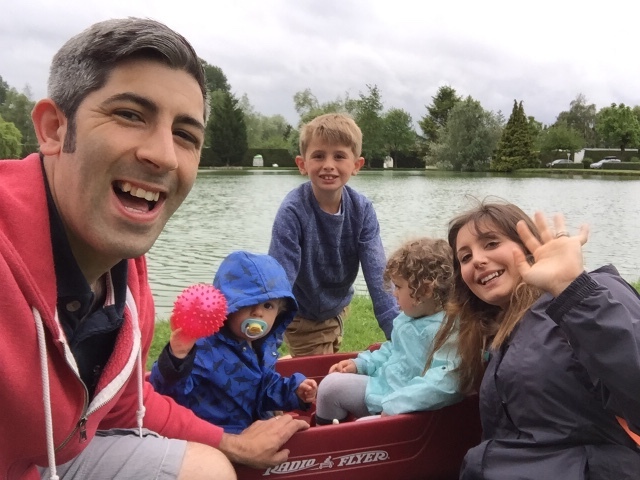 This month has flown by and we didn't get any photos except one today of us out in the rain on our French holiday! Will get the tripod out and take a per photo this week for next month. So here is us in the rain making the most of our Euro camp holiday 4 out of 5 looking not too bad! It's a lovely photo though - so very full of fun and family happiness!